Originally a small shader collection for the popular ENBSeries mod in an attempt to unify all different shader plugins available, MasterEffect quickly grew to the huge shader library it is today. Powered by ReShade, giving your game a graphical rejuvenating has never been so easy. The project is currently on hold, no new features will be added but to the McFX suite in the ReShade Framework. Although there will still be full support for MasterEffect and bugs will get fixed, only no new features. Is there any chance to see some kind of eye/tonemap adaptation shader in your awesome shadersuite? And different methods of ambient occlusion, like hbao, ssdo etc. That would require average image brightness over a time delta which means average image brightness of more frames that the current one which is for now the only one available. I could write a shader like that but it would be extremely sensible and would react immediately which is not how adaptation works. Or would you want an image that flickers every time you move the camera? About different ambient occlusion/obscurance algorithms, I tried (and failed) to port Alchemy AO. I'm uncertain how it works + it uses some essential variables which are apparently declared inside the demo script so I can never find out what these are. Many AO techniques cannot be used because they don't purely use depth buffer, many rely on Projection/World matrices which ReShade cannot access. Before I finally came up with the current algorithm which is heavily based on Crysis 1 AO, I tried a few other algorithms with no success. I remember porting a HBAO shader but it had extreme accuracy problems, probably needed a 32 bit depth buffer. The idea is not out of my head since I'm always on the hunt for new shading techniques but there are other things to tackle like AA which are the only thing that people miss. Hi Marty and thank you for your awesome MER shadersuite. I just wanted to ask you does the depth check parameter in Anamlensflares and lensflares work ? Because when i enable it in any game with access to depth buffer it seems that it is not working both for anamlensflares and lensflares. Thanks for all your hard work. To me, ReShade isn't complete without your shaders. Is there any possibility of adding SMAA to that list? As much as I love your shaders I really miss the ability to add anti-aliasing. Downsampling can only accomplish so much. I want to request the same thing. 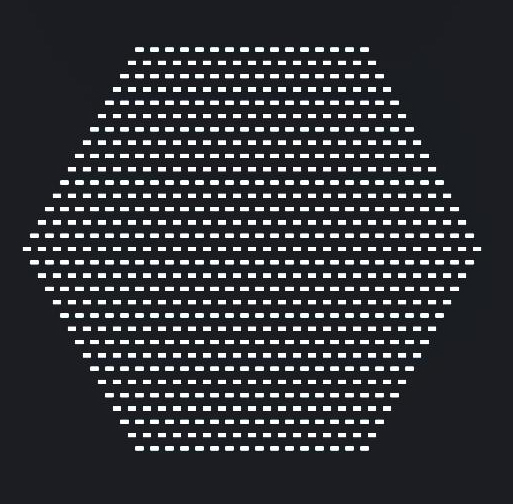 Will you add SMAA to your MasterEffect shaders? @Nekrik: It works, and it does not work. I ported those shader straight from ENBSeries, where depth buffer is not so curved like in ReShade. a value of 0.97 is almost 1.0 in ENB but only like 30 metres distance in ReShade where the whole kilometre to the sky is within 0.97-1.0. To make the depth buffer experience almost linear (depth output) I had to use depth^50 to make it look properly. It has its good sides though, a depth buffer like this pays enormeous attention to close objects. 1.0.315 (just added) has it fixed. @robgrab, paxton676: Maybe, I haven't yet worked with it or tried to find out how it works. Remember, I'm an ENB guy, as far as I know, SMAA needs rendering into texture which ENB is not capable of so I never worked with it. FXAA is added though, a modified algorithm we ENB people used to use, because for some reason implementing FXAA3_11.h did not work (shader compiled but no visual changes visible). Last Edit: 4 years 3 months ago by Marty McFly. Can't wait to try the latest version. Unfortunately I can't until I get home from work. Stupid jobs. I have been tyrying to download this file for the past few hours. I'm not sure if it was pulled or there's a problem with MediaFire. Can someone post an alternate link? Thank you, Marty, i appreciate your work ! Looking forward to the day when you leave your dof-baby free. Yes, thank you for this wonderful set of toys. It's given me a reason to install a bunch of games in my Steam backlog. I messed with it a little last night and I noticed the performance was much worse than 1.0.302. Seems odd since I was using the exact same shaders (and settings) as before. Same Here. I observed some performance drop, lost at least 5 frames (55 from solid 60) in Hard Reset using 1.0.315. May that be because I left Lenz on by accident? I made no major changes which would explain such a result. All I did was changing SSAO, adding FXAA, changing 3 numbers from 0.97 to 0.9999 and reducing the mipmap count of several textures which should even give performance but never take performance away. EDIT: I sometimes play with the values, so if you now enable SSAO or such, it may be that values from 302 and 315 do not match. Please make sure you have the same values for all enabled effects. With naive DOF approach, this would've been in fact 721 samples, every DOF shader would refuse to compile a such high loop count. My approach however (taken from some paper by overlaying two different shapes) does this with only 2*15 + 4*15 = 90 samples. 90 samples take a noticeable bit of performance, yes but this is an extreme advantage over 721 samples which would be the case with naive approach. Moderate blur radii / quality settings run with almost no fps cost. Exactly what i want, a nice DoF that doesnt take too much. Looking forward for it + the new lensflares. Oh, thanks for reminding, I already forgot those when I spent 2 hours trying to make that damn color bleeding every DOF shader suffers from as low as possible. I have a solution for it which is even better than AMD's solution in that one paper I've read about advanced DOF but unfortunately it can never work with this DOF approach. Chilling out when I see something that is not working 100% is not my nature. Updated to 1.0.321, I've added a huge new DOF shader as proposed, huge blur radii at low fps cost and higher tap count than normal DOF shaders would compile properly. I decided to update so frequently because I may not do anything for weeks, that's usually my style of work, a few hours extreme dedication and then days of procrastination. Chapman's lensflare didn't make it yet, sorry for delay. Just wanted to say, Thank you Marty McFly. Awesome compilation! Its part of the depth detection, there's no way exactly to stop it rendering over the HUD. But, to counter that you can try changing its near focus to something higher, so it would draw less over your HUD (However, it will also affect how far the DoF is rendered).